If the students across India want to avail the service of Mid-day meal, first they have to have an Aadhaar number. 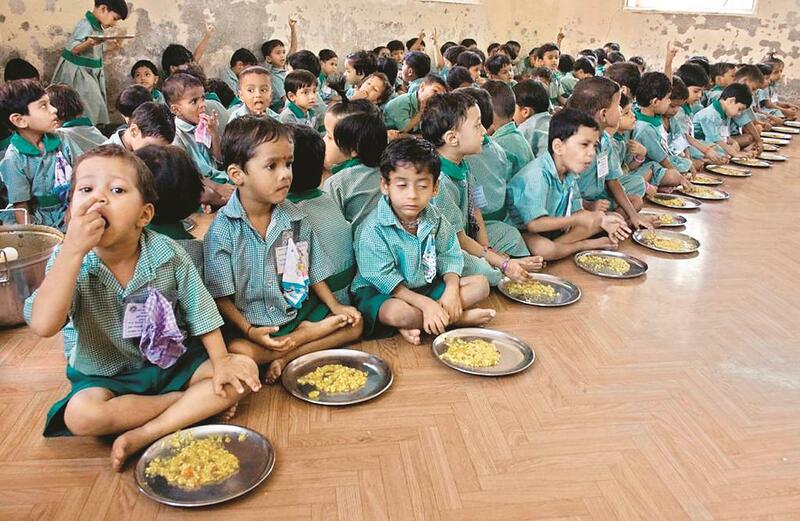 According to the notification issued by the human resource development ministry, children at schools across the country will now be required to either register or have an Aadhaar number in order to avail of the government’s mid day meal scheme. India is believed to have the highest number of malnourished children in the world. But the government believes children need identity number more than they need food. They have been given time till the end of June to apply for Aadhaar. Until they get the Aadhaar number, they will have to produce another identity document along with the proof of having applied for Aadhaar. If the child is not able to do that, he or she could be refused a meal. The mid-day meal scheme is a popular food programme in most states across India that is designed to help improve attendance while providing adequate nutrition to potentially malnourished students. Research shows that the scheme improved enrolment especially for those from disadvantaged groups, reduced drop-outs etc., and the meals have acted as a great incentive for the parents to send their children to school. This notification is a violation to the orders given by Supreme Court that Aadhaar cannot be made compulsory for any services to which people are otherwise entitled. Many times in the past, the government has justified the mandatory use of Aadhaar in government welfare programmes claiming that it helps eliminate fake beneficiaries. Why to get children enrolled under Aadhaar database,? This steps seem to put one of its most critical nutrition programmes at stake. Making mid day meal dependent on an Aadhaar shows the priority of the government. Moreover, no conditionalities can be imposed on the school meals under the Supreme Court orders as well as under the National Food Security Act. What could be the purpose behind making Aadhaar compulsory for the mid-day meal serve? Except for eliminating fake beneficiaries, it is more bound to disrupt instead of helping this important programme.